« Cryptic bought by who? I was totally surprised to see Issue 1 of the first Comic Series announced on Twitter today. The initial series is called Aftershock and issue one is Dead Air. UNTIL’s Camp Lantern in North Africa is not responding to communications and scouts dispatched to investigate have not returned. The new series is scalable so any heroes level 11 or higher can experience the new content. There are supposed to be five more weekly issues in this series. Despite how quickly the first issue snuck up on me, I’m very excited to get in and check it out. I started playing through the second Adventure Pack Demonflame this last weekend (more on that when I finish it) and it’s not quite the experience I was hoping for. From everything I’ve read, the Comic Series are intended to be more like the excellent Featured Episodes in STO, if they turn out to be even half as good then I’ll be spending a lot more time in Champions on a regular basis again. 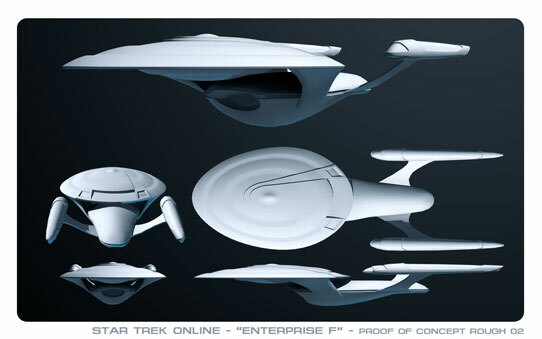 The first Dev Diary about designing the Enterprise-F is up. Most of the controversy that surrounded the winning design has subsided now based on the dev diary forum thread (or I’m just no frequenting the right parts of the forum). The current clay model is interesting. I like how close the saucer and engineering hull are to one another and the dual neck looks much more substantial now that it did in the initial sketches. My only nit to pick is the saucer is a bit too pointy. Glad you see you getting back to Champions. Me as well, for that matter. It’s nice to have a reason to come back. Resistance and Aftershock Issue 1 are both good pieces of content, so I hope you enjoy them. I really shouldn’t have started up with Demonflome, I think. I hit the end boss and got stuck and I think I’ll have to respec a bit in order to beat him, so it’s Serpent Lantern all over again. I didn’t get to play Dead Air last night since my copy of L.A. Noire arrived but I will this weekend at the latest.